After graduating with her BA LLB degrees in 1994 and 1997 respectively and obtaining her Certificate in Advanced Labour Law in 1999, following her admission as an Attorney in 1999 Manisha Maganbhai-Mooloo practiced in various capacities since then. Her career commenced at Maserumule Incorporated attending to labour and employment related work, from both the employer and trade union perspectives. In 2000 she joined Maponya Incorporated until August 2007 where she specialised in personal injury law litigation as a defendant attorney, professional liability claims and general commercial litigation. In September 2007 she joined Dyason Incorporated where she continued to specialise in personal injury law litigation and insurance law litigation again as a defendant attorney. In July 2008 she joined Adams & Adams where she initially continued with a personal injury law litigation practice, medical malpractice litigation, both as a plaintiff attorney, and professional liability claims. She thereafter joined the commercial litigation team, focusing on both a general commercial litigation practice and specialising in all aspects of employment law, until her departure at the end of May 2016. She joined Mphela & Associates in July 2016 where she acts both in a managerial capacity and conducts a multi-disciplinary practice straddling a personal injury law litigation, medical malpractice litigation, unlawful arrests/detention and a commercial litigation practice. Over the years, Ms Maganbhai-Mooloo’s practice includes advising on and conducting litigation relating to both commercial and general litigation. Within her areas of specialisation, she has acted extensively for various corporates, both public and private entities, ranging from small start-up companies to large corporations as well as Boards, CEO’s of statutory bodies, international clients, embassies based in South Africa and parastatals on all aspects of employment law in relation to unfair dismissals, unfair labour practices, collective bargaining, advice on essential services, strikes, minimum service agreements, unfair discrimination, retrenchment, section 197 transfers of business, breach of contract and disputes arising from contracts of employment and generally arising out of employment relationships, including restraints of trade, confidentiality and IP undertakings. 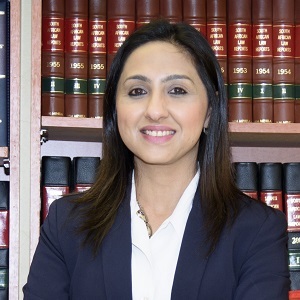 Her work is a combination of both transactional advisory and drafting of employment contracts and policies as well as representing clients in disciplinary hearings, arbitrations, applications and actions in the CCMA, Bargaining or Statutory Councils, Labour Court, Labour Appeal Court and Constitutional Court. She also does presentations to clients on various pieces of legislation. She has written numerous articles on, inter alia, key legislative changes in employment and labour law, recent case law and the impact of same on employers and employees alike and on matters of general legal interest. She has contributed to the Africa Handbook more specifically on employment law, which was collectively drafted by some of the commercial partners at Adams & Adams as well as to the South African Chapter of The International Comparative Legal Guide to Franchise, more specifically on employment law. Ms Maganbhai-Mooloo finds time in her schedule to continue with mentoring of young attorneys while standing on the side lines of cricket, soccer and hockey fields respectively, family in tow, cheering on her 2 children. She is a member of the Law Society of the Northern Province, South African Society for Labour Law, Corporate Lawyers Association of South Africa, Women Leading in Law, Businesswomen’s Association of South Africa, International Federation of Business and Professional Women, Johannesburg and Black Lawyers Association.